Red Couch Recipes: Zoulah's Baaaaaack! Zoulah's baaaaaaaaaack and ready to start her Second Annual Halloween Bash and she invites you to attend! 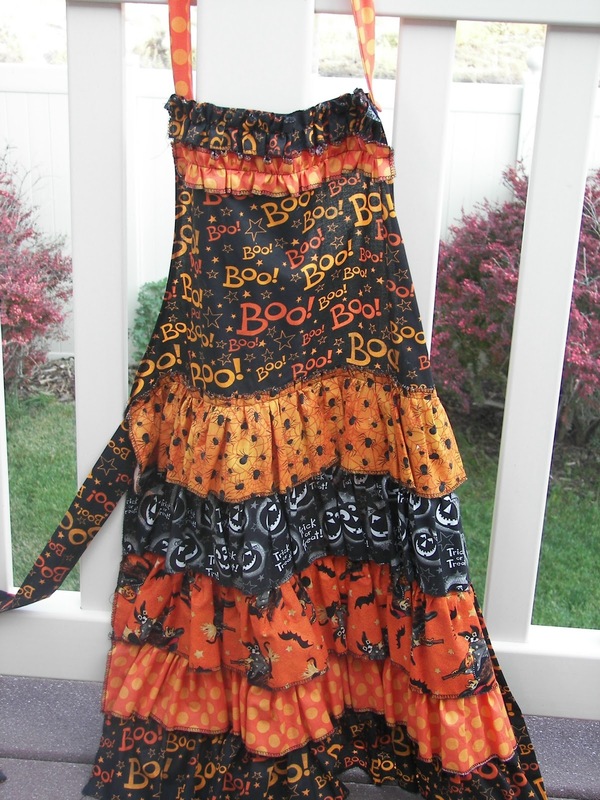 I tried to hold her back but I couldn't, she is just so excited to start mixing up some Halloween Magic in the kitchen. I suppose a year in the garage could be a bit boring. So from now until Halloween, you will find Zoulah in the kitchen and in the craft room brewing up some fun at Red Couch Recipes. If you are new to my blog, you may not have met Zoulah before. Let me introduce you. Her full name is Zoulah Boulah. She was born, along with her twin sister Beulah who resides at Purple Chocolat Home, on October 31 many years ago. Both Zoulah and Beulah are a troublesome, but funloving pair who love to mix it up in the kitchen at Halloween. Check out my "Halloween label" to see what Zoulah was up to last year at her first Hallowen Bash. 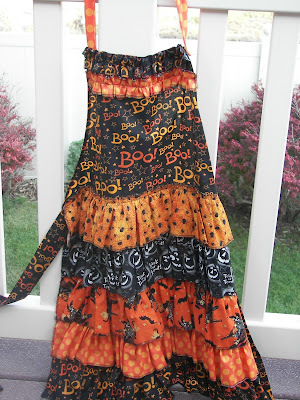 She is going to be tieing on her apron strings and casting her spells to bring some family fun at Halloweentime -- natch, it's it's her favorite time of year. 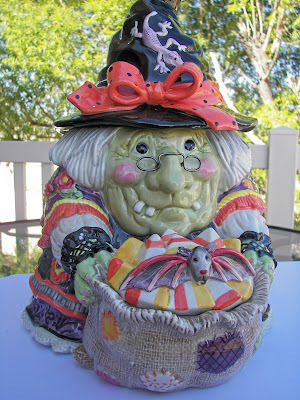 Watch out for a little "giftie giveaway" straight from Zoulah's little witchie heart to yours! Can't wait to see what Zoulah gets herself into this year! Love Zoulah, love you, and love your beautiful apron! Oh yes, I remember Zoulah with affection - and perhaps a little trepidation! Hooray for Zoulah! I will be watching to see what tricks she is brewing up! Double trouble ! We better beware! I will have to wake the old girl up, she is still snoozing in her box, but I am ready to go! Love all the fun they will have together again! They will have to have a photo shoot so everyone realizes they really are twins and not just doing special effects! So glad Zoulah's back! She's a Halloween highlight!